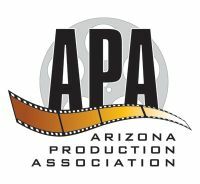 Ambient skies productions is an award winning video production company. Our Director of hotography, Trenton Massey, is a certified steadicam MOVI operator specializing in documentary, reality TV, features, narratives, time lapse and corporate video production. Also offering camera packages such as Canon C300, Sony F55 & Red Dragon. Phantom Flex 4k certified. Will travel. Mic Waugh, SOC; Member of the International Cinematographers Guild. Multiple award-winning cinematographer and director of photography. Gaining international recognition for his award winning Steadicam work on Ok Go's music video "This too shall pass". Steadicam Owner/Operator (Master Elite Series Steadicam). Over 19 years Video Production & Camera Experience for Television, Corporate & Industrial. ENG, Studio, & Robotic. Video Engineer, Technical Director. ScreenPro II HD Owner/Operator. Member of Steadicam Operators Association.